Let start out with comparing to others out there. I have tried other realtors and found them to be very pushy/ very negative about my views or about my home. I understand if I had outrageous requests or unreasonable views but I did a lot of research before starting the selling process and knew the price my home would range. Bruce Goode was by far the best I have worked with. His market perspective by far towers above others and outstanding knowledge of what the new home buyers are looking for and where they are looking. This means your home will sell very fast or faster than any other realtor. I’ve heard many reviews from people I know personally and nothing but good things said. I highly recommend Bruce, there’s a reason he’s one of the top sellers in the area! My greatest appreciation goes out to you Bruce! Bruce has an extensive knowledge of the local area and market. He showed me a home with an excellent view which I didn't expect, given the location. Bruce is friendly and easy to work with. I'd work with him again! Besides taking photographs of our home like a professional ?? .. No he indeed felt like he was part of the family! The way he listed and advertised our home was genius. Our place stood on the market less than a week because of it! Many thanks to Bruce! 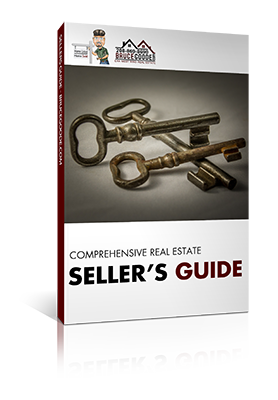 When we were just in the "idea" stage of selling our home, I had a lot of unanswered questions. I found Bruce's name on the internet and asked him some questions, feeling I was using his time at his expense. He answered every concern and question I had without making me feel I was imposing. When we finally made the decision to sell, I remembered how generous Bruce was with his knowledge and he worked diligently with us to find the right home. This man has a great track record, and like a good doctor, we felt we had his undivided attention and he cared that we were happy with our purchase. We found the perfect place, thanks to Bruce Goode and couldn't recommend anyone higer than this professional agent. He helped us along all the way through the process of getting our home not only finding one but also made sure we got through all the hoops to close a little early so we had more time to move. He was always willing to discuss every detail of what we wanted and worked hard to find the perfect home for us. Bruce was very diligent and active in attempting to find a home for us. He knows the area extremely well and was persistent in attempting to get the right place at the right cost. He shepherded the process from start to finish. We highly recommend him. 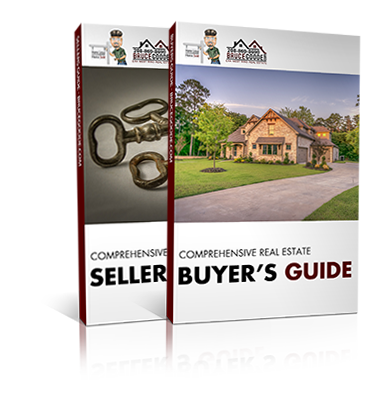 Bruce Goode is a very knowledgeable real estate agent with sound advice for his buyers and sellers. He is tireless in his work ethic. Bruce sole my house in one day and was tireless I helping me find a new home to purchase. I highly recommend Bruce. Of the many realtors I contacted, Bruce was my go to person. At our first showing, he was both friendly and knowledgeable, and after a few experiences with other, less motivated persons, I chose him to complete my buying process. His recommendation of lenders was impeccable, and he was tireless in pursuing the necessary steps to close on a nice home. Even after the sale, he went the extra mile to see that my needs were met during the move-in process. If you think this review is gushing, please feel welcome to try several others in the area, and you will see what I am saying! This was our first home purchase. Bruce talked to us about what we wanted and showed us how to get financing. Once we had a price he found us the home we wanted right away and then negotiated for days to make it work with our loan. Even a year after the sale he keeps in touch and helped us with repair advice when we had a problem come up. Sold a home in 2016 for approximately $100K. Bruce is a great guy. My wife said we would either be great friends or enemies because he was a straight shooter about our house. The main thing was he treated us like we lived in a mansion instead of looking down on our house like some other realtors did. He did all kinds of advertising, folks in town would tell us they got postcards with photos of our house on them and the he put a big sign in the yard because we had a lot of drive by lookers. And i mean big - like 6' big with photos of the inside remodel and a floorplan. Bruce is by far the best agent we ever worked with. Showed home in 2016 in Payette Heights, Payette, ID 83661. Bought a home in 2015 for approximately $150K. 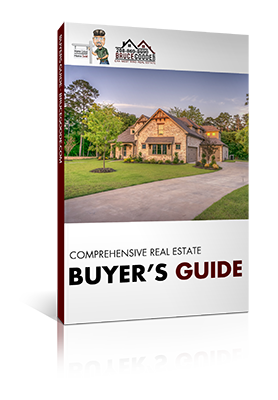 Bruce Goode was a great real estate guide for us. He went above and beyond our expectations. He still is. We appreciate all he did for us. Sold a Single Family home in 2016 for approximately $175K in Payette, ID. I've bought/sold many houses over the past several years and Bruce is without a doubt the best realtor I've dealt with during that time. His marketing skills are fabulous and he goes out of his way to make the sales process as simple and painless as possible. I wish he could help me find a home when I move to the east coast! Bought a home in 2015 for approximately $25K. getting it for far less than the bid price. When it comes time to sell we will definetly be using him and recommend others to do the same. Showed home in 2015 in Payette Heights, Payette, ID 83661. Bruce showed us an older home by flashlight that had lots of additions and outbuildings. We had lots of questions so he talked to neighbors and researched the house so when we came back to look again he was able to show features that were not obvious without knowing how to access certain areas. For example, the old hidden bomb shelter with in wall ice boxes. It turned out that we couldn’t qualify for the house so he found us a mortgage broker who is willing to work with us to prepare for a future purchase. Bruce has been very helpful to us as we look for a home, particularly because we don't know the Payette area well at all. We don’t want to deal with high pressure agents (whom we'd been dealing with a lot, as of late) and Bruce has been a good fit for us. He's certainly business savvy, but he will honestly look for the best deal for you instead of just pushing you into a home. Even though we still haven't found the home we're looking for, Bruce has been diligent about staying in touch and letting us know whenever he comes across a promising lead. I'm definitely keeping my fingers crossed, as I really would like to move to the area and I think I'll be working with Bruce exclusively because you get that sense that he genuinely cares about meeting your needs, rather than just selling you a house. Showed home in 2014 in Payette Heights, Payette, ID 83661. We thought we would be moving in from out of state. We needed an agent with the knowledge and willingness to help us. Bruce kept us updated with the latest listings and then was available to show them to us when we visited the area. If our job situation changes we will be using him for our purchase. Bruce made every effort to help us make an informed decision. Even though we decided to remain in our current house, I will definitely use Bruce as our real estate agent in the future. Showed home in 2015 in Crystal, Weiser, ID 83672. Bruce does an excellent job and is very professional. He helped us out quite a bit with trying to view homes from out of town. He took extra photos and even sent us videos. Unfortunately the home we were coming in from Nevada to purchase sold 2 days before our scheduled trip. We contacted Bruce about the possibility of selling our home. We heard the market was rebounding and hoped to be able to sell our house for a price that would allow us to buy something else more suited to our current needs. He researched all similar properties in our neighborhood that had sold this year, ones that were for sale but didn’t sell, and ones for sale now that would be our competition. When we looked at all the numbers, it was obvious that our house wouldn't bring the price we needed. We really appreciate the fact that Bruce was more interested in doing what was best for us rather than pushing us to sign a contract and put the house up for sale. Bruce was very knowledgeable, thorough, and responsive.